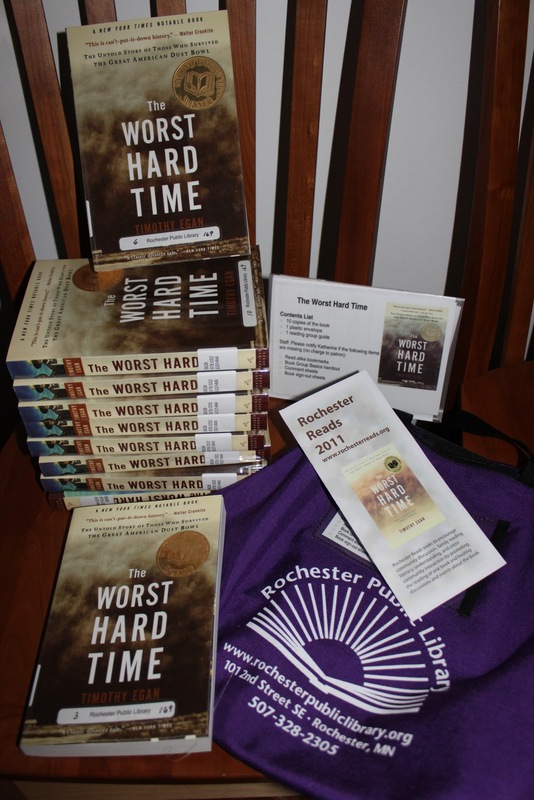 If you missed the Rochester Reads Programme, The Worst Hard Time, there is still a chance to read the book, especially with your book group. The Library has extra copies of the book available, and the Book Group in a Bag is also available. The latter is booked out several months already this year, so reserve yours soon. Please call 328-2305 or stop by the Fiction Movies and Music desk to reserve it for your book group. They are in high demand, so reserve soon. A very proud parent holding her daughters’ first published book! This will be an upcoming Author Visit in the Library in June. 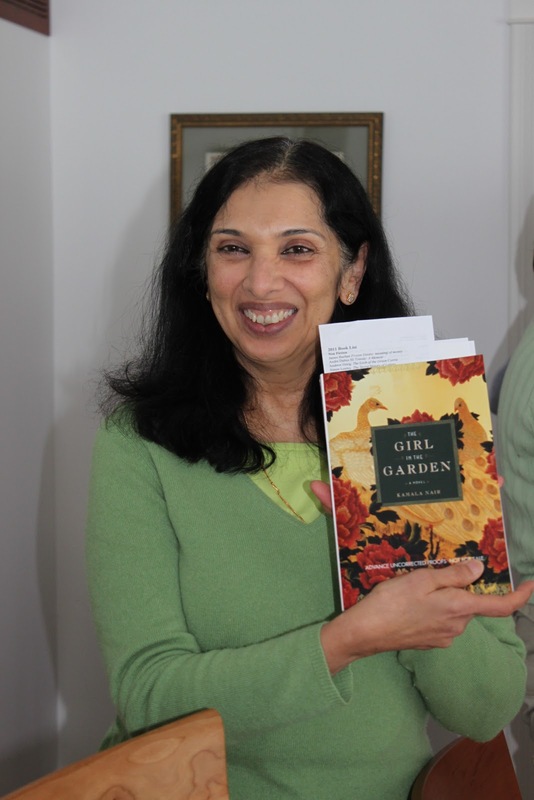 The book is called the Girl in the Garden, by Kamala Nair, who grew up in Rochester! Our book group is anxiously awaiting publications and their own copies! 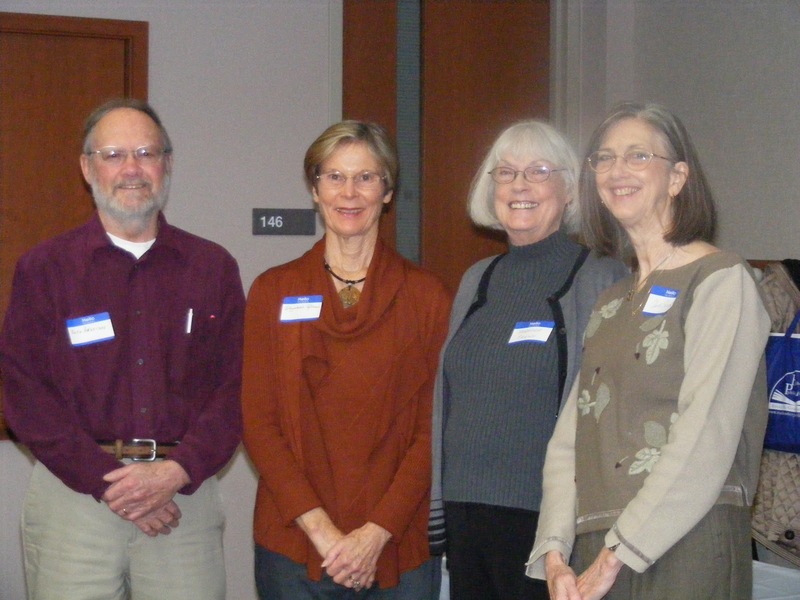 Southeastern Minnesota Poets is hosting the League of Minnesota Poets annual spring meeting at Assisi Heights in Rochester, MN. The event takes place on April 16th, with registration check-in beginning at 9 AM and runs all day until 4 PM. A registration fee of $35 ($15 for students) includes guest speaker Todd Boss, author of Yellowrocket, as well as poetry critique, open mic poetry reading, book fair and more. The Friends of the Rochester Public Library will be on hand to sell great books at bargain prices. The event includes lunch with registration prior to April 1st. For details and a registration form, visit the League of Minnesota Poets website at mnpoets.com or email poets.semn@gmail.com for more information. Friends’ members get into the first day of each sale 1/2 hour earlier than the public. Become a member today and get in early. Friends’ members also get 20% off in the Friends’ Bookstore. This sale raised nearly $2,000. These funds will go towards our goal of purchasing the much needed self-check machines for the library. Public 2:00 p.m. – 5:00 p.m.
Public 9:30 a.m. – 8:00 p.m.
Public 9:30 a.m. – 5:00 p.m.
Public 1:30 – 4:00 p.m. The Rochester Public Library Foundation held its 10th Annual Wit, Wisdom and Wine gala fundraising event on Saturday, January 15, 2011. This unique event, which raised about $25,000 had a record number of 250 attendees. Throughout the evening, each attendee had a chance to listen to their choice of two speakers, socialize over wine and light refreshments, and outwit/outbid each other in the silent auction. The Friends donated a number of silent auction items including many of the books that graced the other silent auction items. Friends also contributed to the success of the evening. This year’s speakers had topics for everyone ranging from Economics, Politics, Pirates, Art, Music, and of course, Wine. The silent auction offered great items that were all donated by local library enthusiasts. There were piles of books, lots of wine, art prints, airplane rides, tickets to Minnesota Wild, and even a wing-backed chair up for bid. Gift certificates for CounterPoint, Great Harvest, zPizza, and even a psychic reading were also on the auction. The raffle winner of a piece of jewelry donated by Hight & Randall, Ltd. was Bruce Snyder. His wife, Vicki, chose the ring as her prize. Congratulations to both of you! 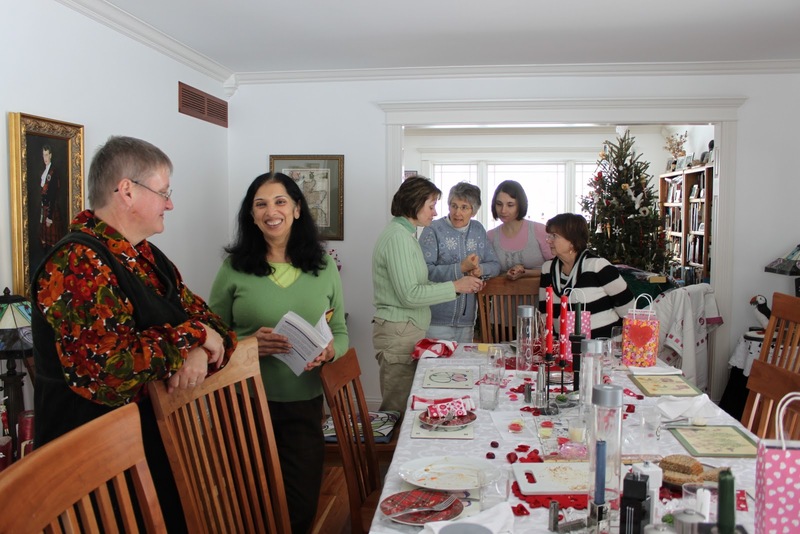 If you missed it this year, mark your calendar now for the 11th Annual Wit, Wisdom and Wine event which will be held on Saturday, January 14, 2012. BridgeStreet World Wide and Think Mutual Bank were the main co-sponsors of the event. Other sponsors include: Andy’s Liquor, David & Lois Marris from Keller Williams Realty, Associated Bank, Davies Printing, DoubleTree Hotel, Daubes’ Cakes and Bakery, Hight & Randall, LTD, Barbara and Phil Henoch, Lasker Jewelers, Nigon Woodworks, Inc., US Bank, Windsor Financial, Paustis Wine Company, Finca Flichman Winery, and Anakena Chile Winery. Just to let you know that the Library has updated (2/3/2011) the Book Group in a Bag title Selection and have some wonderful books for book groups – the selection of titles by author is listed below. There are generally 10 books in a book bag (although more may be available if you have a larger book group). The Friends’ sorting volunteers try to keep extra copies of these books as they are donated. This is a great way to read a classic and enjoy a discussion. Try non-fiction! Experience another culture or another time. Set a date to meet your friends and enjoy the reading experience! Bryson’s Shakespeare is excellent. I highly recommend ALL of Ariana Franklin! We can learn a great deal from Gawande (I never miss his articles in the New Yorker). Your next fast passed read should be Kathleen Kent’s Heretic’s Daughter (and then the sequel/prequel!). I am still talking about The Sparrow by Mary Doria Russell, that I read for the first time last year. Cannot believe I missed that, or it’s sequel a decade ago. Great new author for me. Don’t miss her other books. If you need a lovely gentle read, that is also thought provoking and well written, you will enjoy Helen Simonson’s Major Pettigrew’s Last Stand. It is charming. When baseball season rolls around, don’t forget Shoeless Joe (Kinsella) it is a classic.